As I mentioned, my love affair with eggplant ended a while ago, but I will try anything once… twice… endlessly really. I cut myself a forkful of one of the eggplant rollups, which I had to admit looked really tasty. I bit into the eggplant and prepared for the worst, but the worst never came. It was actually really good! 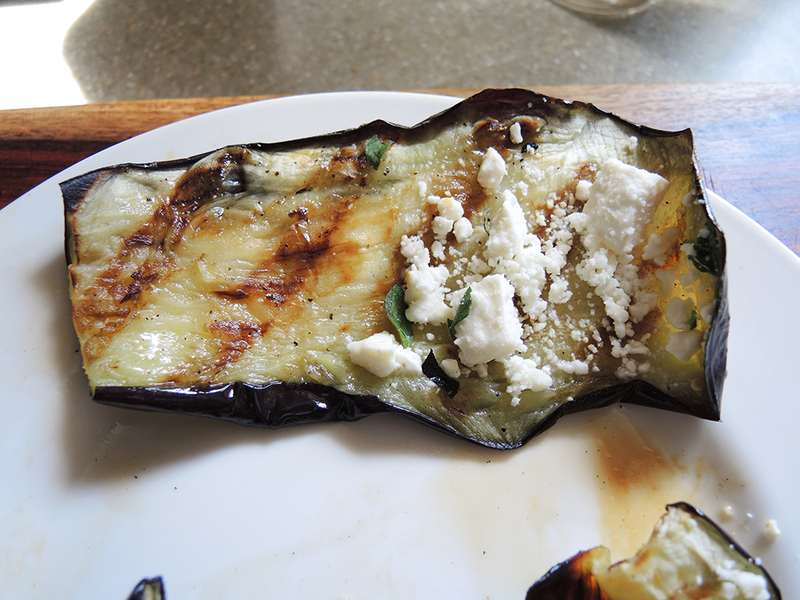 The texture of the eggplant wasn’t too soggy or too firm and the flavors of the feta with fresh oregano balanced out any residual bitterness that the eggplant might have on its own. I knew I had to share this recipe after tasting it. I might not be completely convinced about eggplant again, but if even I thought this recipe was delicious, I can only imagine how eggplant lovers will react after trying this. Makes about 12 roll-ups at about 60 calories each. Slice one large eggplant lengthwise using a long sharp knife into around 10 or 12 slices. Lay the slices out on a large baking sheet or clean flat surface. Sprinkle a little bit of salt all over one side of the eggplant and let the eggplant sit for about 10 minutes. This helps pull out some of the moisture and helps in removing some of the qualities that make the eggplant a little bitter sometimes. While you wait, get your grill up to a toasty 450 degrees or so (a medium temperature). Flip the eggplant pieces over, salt the other side, and let them again sit for about 10 minutes. 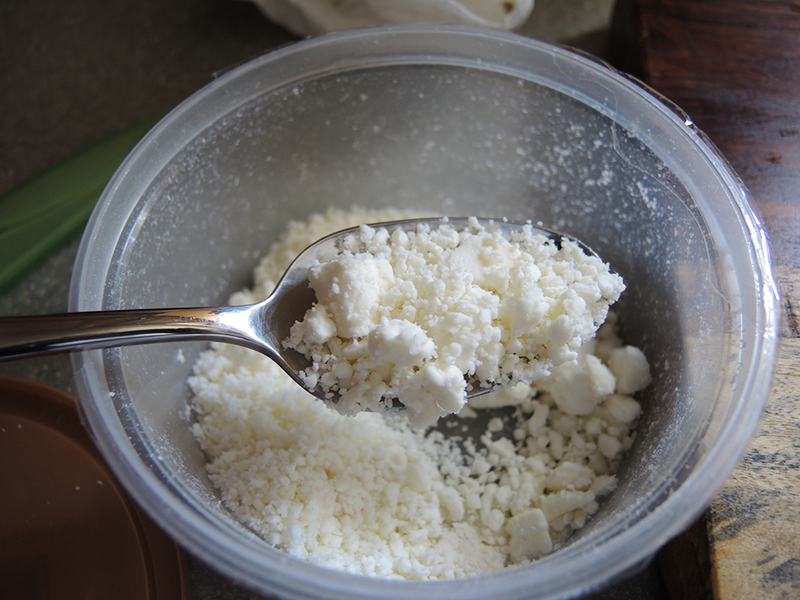 While you wait this time, get the feta cheese and oregano ready by roughly chopping about 2 tablespoons of fresh oregano. In a small bowl place as many tablespoons of crumbled feta cheese as there are eggplant slices. Mix that feta cheese with the chopped oregano. After letting the eggplant “sweat,” coat all of the eggplant slices in olive oil (use about 2 – 3 tablespoons total) using a basting brush or just carefully drizzling it over the eggplant. Sprinkle or crack some fresh black pepper on both sides of the oiled eggplant. 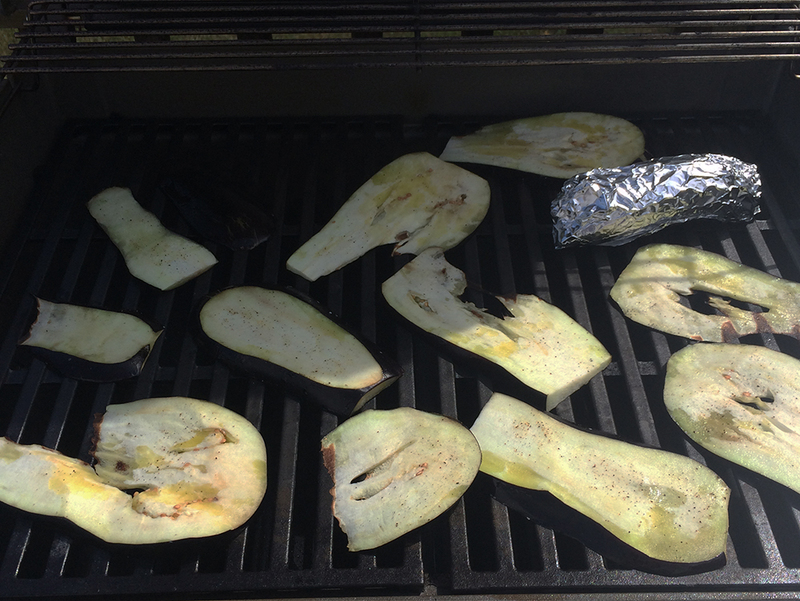 Lay each eggplant slice carefully on the grill without overlapping. Grill the eggplant with the lid closed for about 6 – 7 minutes on each side until the eggplant are soft with nice grill marks, but without getting burned or falling apart. 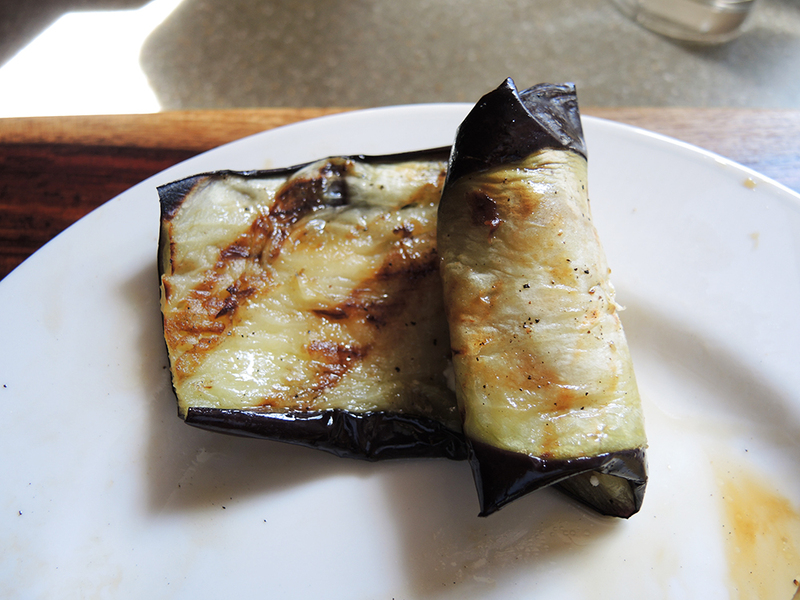 This is where it will depend on your grill, so keep an eye on the eggplant as you cook. 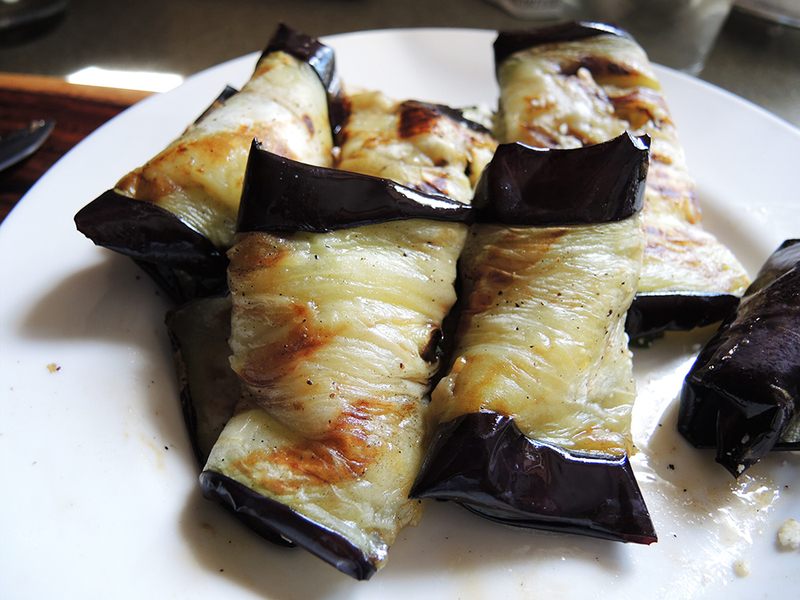 Once done, remove the eggplant to the baking sheet or large plate to let them cool. When cool, lay down one slice of eggplant on a plate and spoon a tablespoon of the feta and oregano mixture onto one side of the eggplant. Next carefully, roll up the eggplant length wise. When rolled, set the roll-ups aside and repeat for the remaining eggplant. 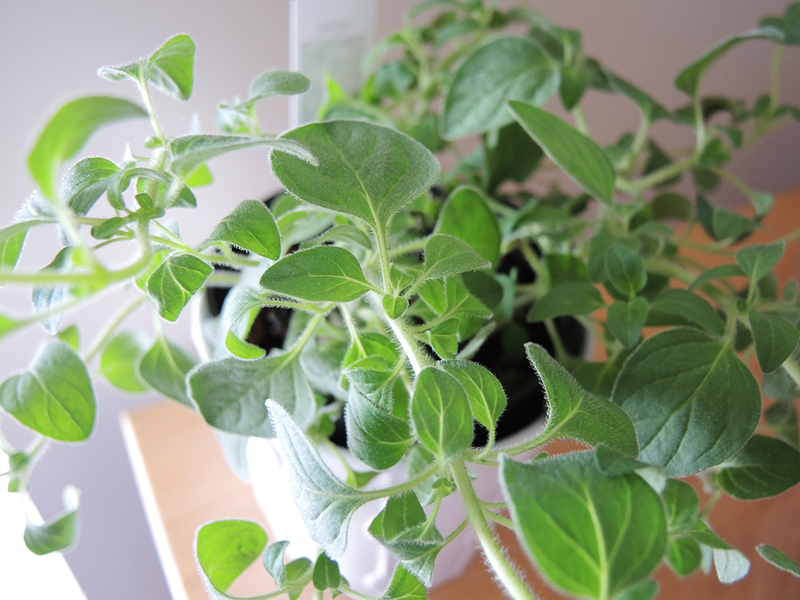 They are ready to eat immediately as a main dish or a side for almost any meal. I am nit a fan of eggplant either but I would like to try this recipe. Thanks for the variety.